Syrian rebels claim there have been more government and Russian airstrikes around the outskirts of Aleppo. Moscow, which says it has observed a moratorium on air attacks since October 18, has indicated it will even extend it if rebels leave the city by Friday evening. Civilians will also be allowed out via six corridors. Russia which is helping forces loyal to President Bashar-al Assad to retake full control of Aleppo said the new humanitarian pause was to prevent senseless loss of life. It has blamed the continued bloodshed on some countries of not respecting UN resolutions and of backing Syrian rebels. Such pauses in the past have been largely unsuccessful, both in getting aid into eastern Aleppo and getting residents out. 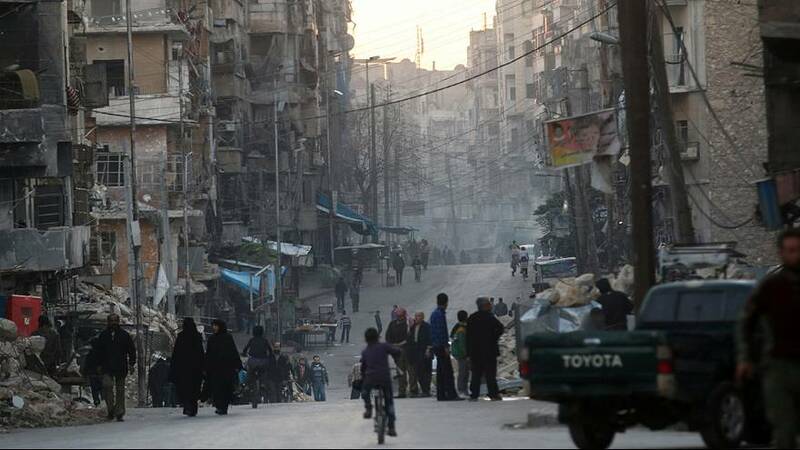 Rebel groups last week began a renewed push to break a Syrian government siege of the east of the city, attacking government-held areas with rockets and artillery and killed dozens of civilians. The rebels have so far rejected Russia’s calls. Some 250,000 to 300,000 civilians are thought to be trapped in eastern Aleppo, with dwindling food supplies and extremely limited medical care.